Knowing your social media analytics is so essential in every business that marketers need to be regularly updated so they can make intelligent decisions about marketing strategies that can directly effect sales. Some factors can affect the marketing strategies of a company, but one thing is for sure. All efforts must go towards achieving the company’s goals. In a nutshell, your social media analytics directly affect your campaigns which in turn affect sales. If you want a successful social media campaign, you must be able to know, understand and manipulate your social media data. Did you know that 68% of US adults are on Facebook and more than 56% of online adults use more than one social media platform? Plus, the average user spends two hours on social media daily. Just look at how much time you can use to get your message across and to convince your audience that they need your product or service. That is why tracking social media analytics is so important in the modern business. There are many different types of analytics and many different kinds of tools to track them. Track only the ones that matter to your business to avoid getting overwhelmed. Figure out how these data factor into meeting your targets. If you want to automate your social media analytics, then Ninja Reports is one of your best options. With Ninja Reports, you can schedule automated email reports for all of your social media analytics. Get social media analytics daily, weekly or monthly right to your email. Stay on top of your likes, followers, friends, retweets and engagement. If you run a social media agency, Ninja Reports can send automated email reports to your clients letting them know how their social media campaigns are doing. With Union Metrics, you can monitor all the important topics and profiles on Twitter, Facebook, and Instagram. The analytics are easy to set up, use and share. They offer real-time monitoring so marketers can make fast, better decisions. They offer affordable subscriptions that start at only $99 per month. With Union Metrics, you can get in-depth analytics on your social posts across the three major social media platforms. You can monitor reach, engagement, content performance and more. Audiense gives accurate information about your followers so you can interact with them efficiently. You can also create your opt-in chatbot to engage with your subscribers via Twitter. They offer advanced monitoring with complete global coverage of real-time and historical Twitter content. You can get a conversation analysis. They offer four kinds of subscriptions starting at $31. Salesforce Marketing Cloud allows marketers to know their consumers, engage them and even personalize their experience across all social media platform. You can see a single, comprehensive view of your customer to aid with your sales efforts. Automatically discover new segments, identify which consumers are likely to engage and then get predictive recommendations. Marketing Cloud has pre-built templates, mobile apps, and streamlined messaging flows so you can easily create and execute your campaigns. With this tool, you can engage both individual customers and business customers. Solutions start at $400 per month. Klout helps individuals and businesses create meaningful content that will have a great impact on their audiences. Each user gets a Klout Score which tells you how much influence you have. The higher your score, the more influential you are. Google offers a myriad of resources for different types of customers and Google Analytics is one of the most used tools. With Google Analytics, you can track your website traffic easily and evaluate some social media metrics. You can get information on all your sites, apps and even offline channels. They have solutions and products for all kinds of businesses. 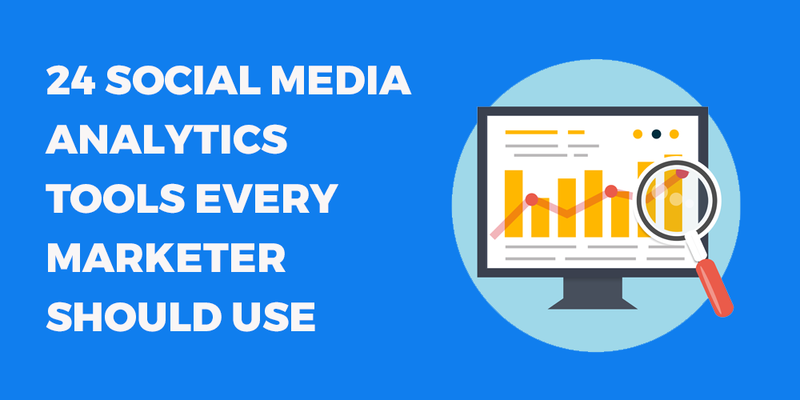 Use Google Analytics to measure the value of the traffic coming from your social platforms. You can register for free and then upgrade your plan as you see fit. BuzzSumo is another tool popular with many big names in successful businesses in different industries. 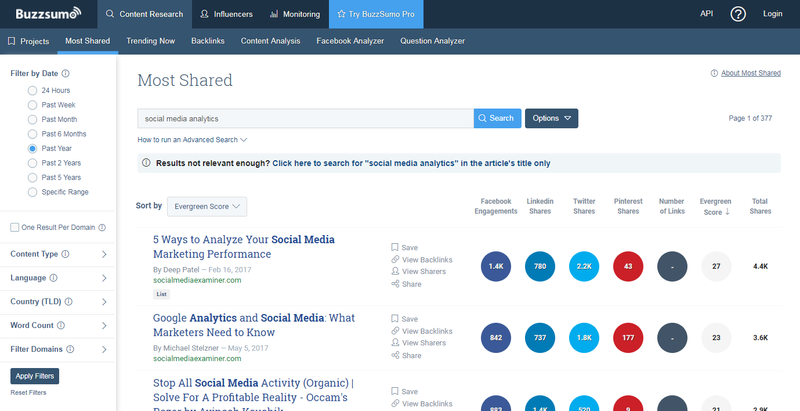 BuzzSumo is fairly easy to use. Just type in a URL, keyword or topic, and the tool will tell you which content performs the best regarding Facebook engagements, LinkedIn and Twitter Shares as well as Pinterest shares. If you get advanced plans, you can get detailed analysis reports, find influencers in any topic, and review the content they share. You can keep track of your favorite authors or competitors when they publish new content. You can also make detailed comparisons of your competitor’s performance. Prices start at $99 per month. Keyhole is another easy tool that marketers should take advantage of using. If you want to track your content in real time, this is the tool for you. Just enter a hashtag to track, and you’ll get all the information you need about your hashtags such as the number of retweets, likes, and impressions. The tool tracks the most influential people engaging with your brand. You can use this information to boost your campaigns or make more personalized projects. You can reach out to these influencers to promote your content. Prices start at $224 per month. You can easily manage all of your social media platforms with e-Clincher. You can schedule posts for Facebook, Twitter, LinkedIn, etc. in one site. It offers both general and customized social media analytics reports and shows you which influencers are engaging with your brand. A basic plan costs $49 per month. HootSuite is also a social media management tool that allows you to schedule posts for all your social media accounts. You can pre-approve content and upload them to the cloud then your staff can schedule and tag them. HootSuite offers comprehensive reporting so you can measure how much ROI you are getting from your different media. One of the highlights of this tool is it gives the user the ability to find and filter social conversations by hashtags, keyword, and location in multiple languages. You will be able to know what people are saying about your brand across different aspects. Plans start at $19 per month. Oktopost lets marketers track leads and gives analytics so they can understand which areas are most effective in their campaigns. You can arrange and categorize all your content to improve analysis. Oktopost helps you keep your streams fresh so your audience will keep sharing them. Find social conversations that impact your brand and easily reply to your customers. You can also keep track of your competitor’s activities so that you can formulate the perfect campaign. Oktopost prices start at $65 per month. Followerwonk gives you more detailed Twitter analytics. You can view information on your followers, who you’re following and who your competitors are. You’ll be able to see when your followers are online so you can schedule posts to go live when they are online. Categorize your followers, find and connect with new influencers in your industry and match your activities to follower losses and gains. This last feature is especially useful if you want to know what your followers like best. Price starts at $29 per month. If you use Pinterest in your business, then Viralwoot is for you. Aside from scheduling and promoting pins, you can also gain new followers using this tool. You can reach your audience with the maximum impact. Viralwoot has a free Chrome extension that allows you to schedule your pins from anywhere on the web, and it also teaches you how to improve your metrics. You can rotate and republish your old pins and pin your new ones in bulk. Track contests and campaigns in real time. Viralwoot starts at $10 per month. Tailwind is another tool you can use if you are active on Pinterest and Instagram. You can schedule content, monitor what’s going on in your accounts and analyze performance. You can upload bulk images and multi-board pin. It offers many shortcuts so you can save time. You can automatically optimize your accounts based on when your audience is online. Tailwind also offers deep social media analytics. This program offers a Hashtag Finder where you can automatically get the best hashtags for your Instagram posts. It’s affordable, and they offer a free trial with no credit cards required. Klear is an influencer marketing software. You can easily find the top influencers in your category or industry across the world through Instagram, YouTube, Twitter, and blogs. You can interact with these influencers and boost your brand. You can use filters so you can focus on the influencers who are relevant to your brand. Startup plan is $249 per month. If you want to view your stats in a simple way first thing in the morning without fuss, Peekfeed is for you. You get a simple dashboard with all the statistics that matter. You can monitor Facebook, Twitter, Instagram, Google+, Klout, Pinterest, YouTube and LinkedIn. 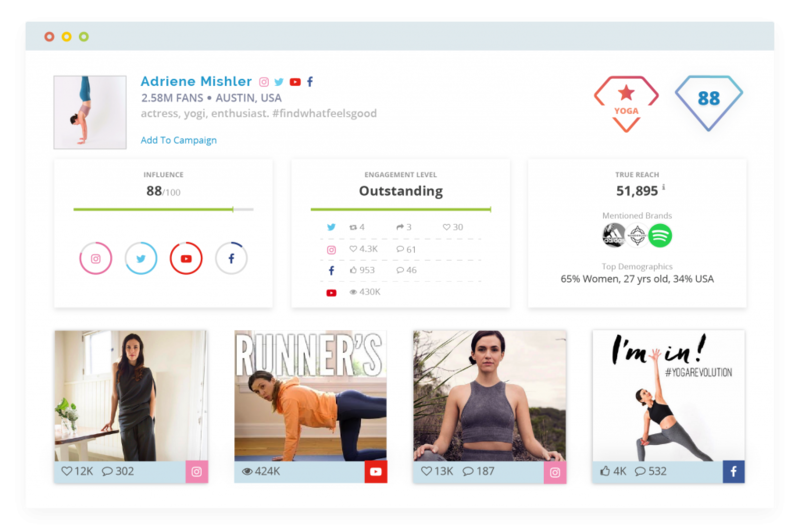 The dashboard lists your total and new fans, new posts, and engagement for each social media account. You can also schedule weekly reports to arrive in your inbox. Plans start at $5 per month. Are you focused on Instagram? If so, then Websta will help you to understand your audience better, engage with your followers, and even find new potential fans. 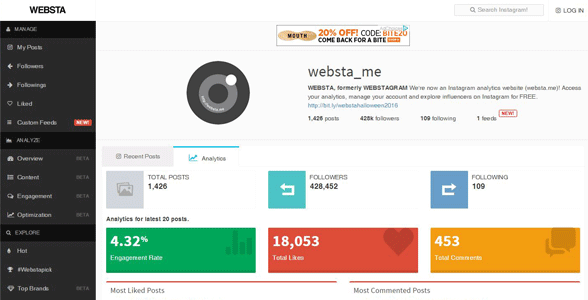 Websta gives social media analytics about posts, engagements, and relationships. You can discover influencers and customize your Instagram feed. Websta is free. 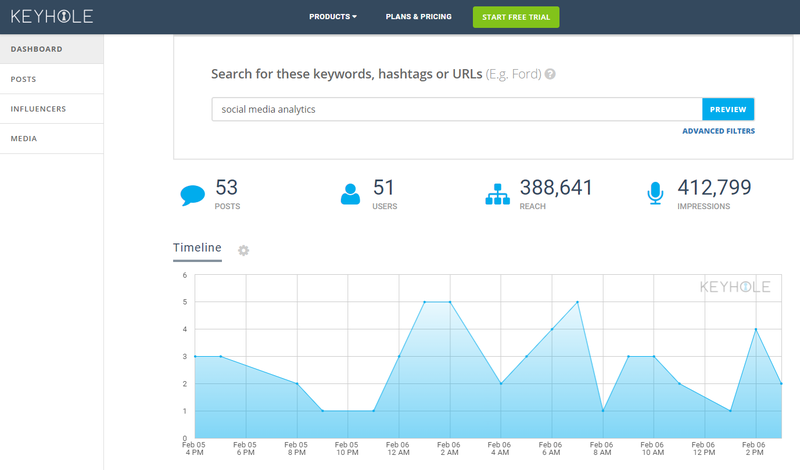 Talkwalker allows you to track your campaigns and hashtags for free and in real-time. You can enjoy unlimited searches. You can find a wide range of data such as mentions, distribution of conversations, top posts, etc. The best part? It’s 100% forever free. Likealyzer is a free Facebook advisor. This tool will give you recommendations about your Facebook activities. You can benchmark your page with the industry leaders, people you admire or even compare it with your competitors. It will give you an easy-to-understand report so you can immediately understand what’s going on in your Facebook community. 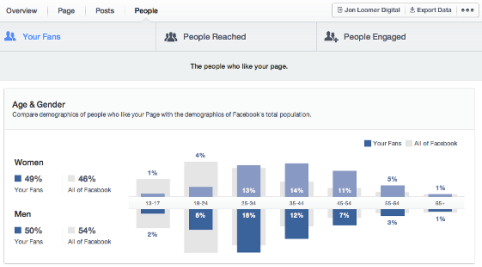 Most marketers forget about the tools that come with their social media accounts such as this one from Facebook. This tool lets you see information about your posts, your fans and the reach of your posts. You can also set up a list of pages that you want to monitor and get information about their performances. Another forgotten tool is Instagram Insights. You can use it with an Instagram Business Profile. You can get comprehensive data about your posts, stories, profile, etc. You can also get detailed data about your followers. Pinterest Analytics allows you to create better Pins and boards using metrics from your profile. You can also learn how people save your Pins and how they interact with your Pins across different devices. You can easily see your best-performing Pins at a glance. 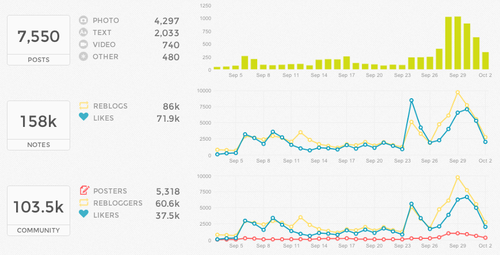 Pinterest Analytics is available for Business Accounts. Twitter also offers an analysis of how your tweets have performed over the past 28 days. It gives you data on mentions, retweets, favorites, etc. With these stats, you can learn how to make your tweets better. Learn more about your followers – where they are, their interests and their demographics. To get Twitter Analytics, start using Twitter Cards. LinkedIn Analytics is available for both individual and business users. Analytics provides data about your LinkedIn articles, reader demographics and tells you which people have engaged with your posts. Analytics Business gives information about your posts and followers. Over 65 million businesses have a Facebook page, and surely, most of them have a presence on other social media platforms. That means you have your work cut out for you. If you want to be a successful marketer, you need to be able to tailor your campaigns so that they resonate with your target audience. Understanding the data using the different tools mentioned above is the first step to creating powerful marketing campaigns. This entry was posted in Analytics Tools, Email Reports, Facebook Analytics, Google Adwords, Google Analytics, Twitter Ads, YouTube Analytics. Bookmark the permalink.